Whether hit or miss, no one serves up style like Rihanna because she always takes a risk. She was spotted leaving her New York apartment on yesterday(October 13th) on her way to Vogue's Forces of Fashion event. 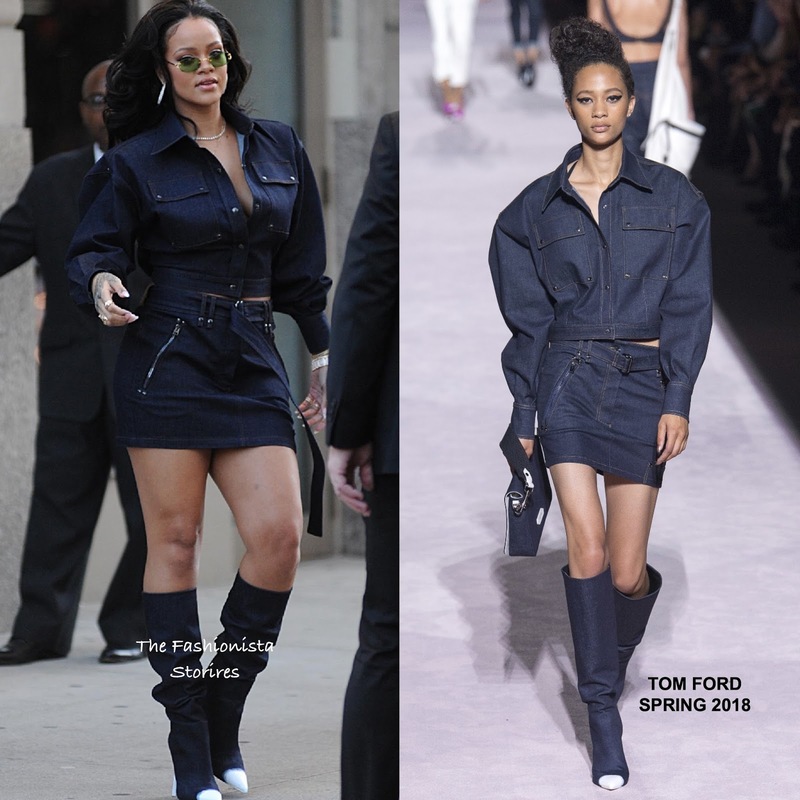 For her outing, she was head to toe in a TOM FORD SPRING 2018 denim ensemble which featured a puffy sleeve crop jacket, belted mini skirt and white, toe cap knee length boots. I love the denim on denim look and this look is so Riri which she pulled off. Off-the-shoulder tresses, green lense sunglasses and CHOPRAD jewelry finished up her look.